Emergency Dentists USA provides you with a convenient listing of Arlington emergency dentists who are standing by to provide you with great dental service as quickly as possible. From dentists who offer emergency services as late as 9 p.m. in the evening to after-hours dentists with Saturday and Sunday appointments, Emergency Dentists USA has the exactly what you need to get you out of pain and back on the road to recovery. Check out our 24-hour dental hotline to speak with a live operator who can assist you in choosing the right Arlington emergency dentist and even helps you to make an appointment if necessary. Emergency Dentists USA is a great choice when you’re facing a dental emergency. Their staff is great, they helped me find a dentist within blocks of my house! Emergency Dentists USA offers quick access to dental clinics with after hour appointments to make it simple for you to have the dental care that you need without the hassle of waiting days or even weeks for an appointment. Emergency Dental Care USA offers same-day, walk in examinations whenever possible or you can use Arlington’s great hospital emergency rooms if you require an immediate examination. After hours dental clinics are extremely helpful for patients with a dental emergency that occurs outside of the normal workday. Emergency Dental Care USA provides appointments as late as 9 p.m. on most weekends and has office hours available on Saturday and Sunday. Located below you will find a selection of excellent Arlington emergency dentists who have office hours and locations designed to suit your needs. Use our 24-hour dental services hotline to speak with a live operator who can help you to find a great dentist and make an appointment with a single simple phone call. Description: Don’t let intense tooth pain ruin your stay! Call our emergency hotline if you are experiencing more pain than you can handle, and want things to get back to normal again. Description: If you have chipped a tooth, a painful toothache, or are experiencing another dental emergency, Emergency Dental Care USA is available for same-day exams and treatment (whenever possible). Their skilled and compassionate dental team can provide quick relief without the wait. They accept most dental insurance on indemnity basis, and also offer multiple payment and financing options to suit nearly any budget. Description: Roca Dental is open on Saturdays from 9 AM until 5 PM, which is incredibly convenient for those who have very busy schedules and lives. You may have the need for a check on a potential extraction or root canal issue, or just have to come for a routine check-up. A clinic in Arlington that has long known what patients need to feel comfortable and complete, they are always ranked high among locals in need of dental care. Description: The Arlington Center for Dentistry remains open on Saturdays which helps many with families that desperately need to find care during the weekend. You may have the need for a root canal or just a standard dental procedure, this office has you covered either way. Description: Whether you need help with something serious like an abscess or just a family checkup, the staff here at LeVechhia’s will make sure you leave pain-free. Make the best choice for you and your entire family, and head into the best dental care provider that you could ask for in the Arlington area. Description: The staff at Cusamano & Stuver is here for you during the week until 6 PM Tuesdays and Wednesdays. Here you can see the staff for routine issues such as cleanings and check-ups, or more difficult problems such as wisdom teeth coming in improperly. Don’t hesitate to see a specialist if you are facing a serious infection or days of pain, and come see the staff here now for proper treatment. Have your paperwork, health records, and insurance information ready. This makes it easier for your Arlington emergency dentist to make a plan for your dental services and choose the right procedures for you. Also, arrive 15 minutes early to facilitate filling out paperwork. Make sure you know how you’re going to pay and if the dentist accepts your form of payment, cash, credit, or insurance. Most Arlington emergency dentists do accept these forms of payment. Some of the dental clinics also offer low-interest payment plans for larger dental services. Make sure you know if your insurance is accepted at this dentist. Choosing an in-network dentist will usually help to decrease your total cost when the bill is due. Bring a current list of your daily medications with you to visit your new Arlington emergency dentist. Let the receptionist know about your dental fears and he or she can help you to remain calm during your procedure. Sometimes a simple explanation of the procedure helps you to feel better about the process. A broken tooth or a knocked out tooth are common dental emergencies that can occur at any time of the day or night. 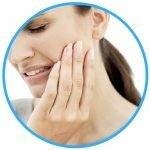 You might also encounter a dental emergency that includes an injury to the soft tissue of the mouth, tongue or the lips or even an object caught between the teeth. Common 24-hour dental emergencies also include broken brackets or wires on braces along with lost fillings or teeth that are partially knocked out. These types of dental emergencies are treated quickly and easily at your local Arlington emergency dental clinic. 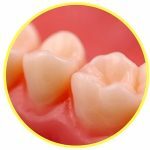 A lost filling is a common dental emergency that occurs when a tooth continues to decay below the filling or becomes cracked due to the previous decay. Use a small piece of sugarless gum to fill the hole where the cavity was located. Do not use gum with sugar in it to fill the empty cavity as this can cause pain. You can also fill the hole with over-the-counter dental cement to protect the cavity from further decay. An emergency toothache is the most common of all dental emergencies. This painful problem can be caused by debris that is stuck between the teeth. Rinse your mouth carefully with water and then floss gently to remove any debris. Use a cold compress outside of the mouth to lessen the swelling and pain of the toothache. Never place an aspirin or other painkillers between the gum and cheek as this can cause chemical burns to the mouth. 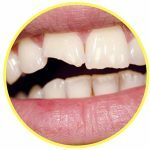 A chipped or broken tooth is definitely a common dental problem that is simple to fix when you visit your Arlington emergency dentist as soon as possible. If you are able to find the broken portion of the tooth, rinse it carefully with water and bring it with you to visit the dentist. Rinse your mouth with water and use a moistened piece of gauze to control any bleeding. Applying steady pressure with the gauze will stop the flow of blood. Use a cold compress on the outside of the mouth to lessen the swelling and pain associated with the chipped tooth. You might need an emergency tooth extraction if you have a tooth that is crowding other teeth in your mouth or if you have a tooth that has decayed beyond the point where an Arlington emergency dentist can repair it. It’s important to have the tooth extracted as soon as possible to avoid complications or a more painful procedure. An emergency dentist will usually perform an examination and take an x-ray of the tooth before beginning the extraction. He or she then chooses a general or a local anesthetic so that you remain comfortable during the procedure. A special dental tool is used to pull the tooth out of the gum, and the gum is stitched closed using sutures that dissolve over time. Full healing of the gum usually occurs within one to two weeks. After your emergency tooth extraction, you should avoid eating hard foods or drinking from a straw for at least the first few days. Try to avoid smoking or drinking alcohol until the gum is fully healed. The extracted tooth can often be replaced by a dental implant or a dental bridge depending on the location of the tooth. It is important to visit your hospital emergency room if you have a dental problem that stems from an accident like a fall or a sports injury. A visit to the emergency room allows a physician to ensure that you do not have any more dangerous injuries. Keep in mind that a visit to an emergency room does not mean that you do not have to see an emergency dentist. Most emergency room physicians are not trained to repair broken teeth. Your Arlington emergency dentist is the right person to take care of any dental emergency that you encounter. Visiting a dentist for a dental emergency means that you do not have to spend time sitting in the hospital waiting room to see a doctor, and you do not have to pay that emergency room bill when it finally arrives. Your emergency dentist is trained to handle your dental emergency as quickly and as painlessly as possible. When you choose your new Arlington emergency dentist, remember to check his or her credentials on the American Dental Association website. 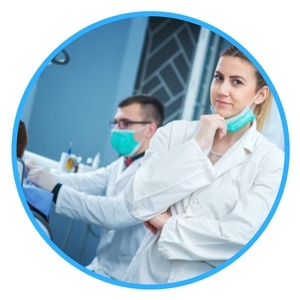 This website offers current licensing and credentialing information that affects where a dentist is able to practice. 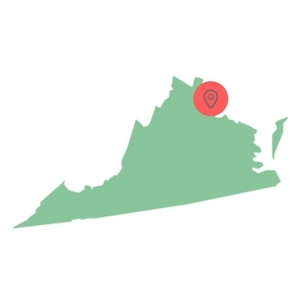 You can also choose the Virginia Dental Association’s website to learn more about local dental clinics and read interesting information regarding caring for your teeth.